EMRs-Electronic Medical Records are a modern revolution in the field of healthcare improving the standards of quality in healthcare and raising it to a higher level. With all the numerous benefits of EMRs to doctors, it eventually signifies the benefits to patients and thereby improves patient care. Safe and secure medical records: Electronic medical records are safely and securely maintained in a PC in contrast to the paper-based records let out in open leading to forgery, loss of records or damage due to natural factors. Records inside the PC cannot be damaged or lost and thus a patient is tension-free with respect to the security of his records. Make better decisions: A patient history well maintained helps you make better decisions in your treatment. EMR is a tool to maintain such patient histories and take decisions accordingly increasing patient care. Less time in management and more relief to patients: Paper-based records and registers pile up and become difficult to manage. Moreover, it takes a lot of time for the receptionist to search the record and hand it over to the patient. Instead through EMRs, the doctor searches the records in a single click and reduces the time spent in searching them inside the clinic. This eventually gives a relief to the patients as their waiting time is curbed. Email the reports to non-local patients: Mailing the reports is a great way to showcase care for patients. If they are paper-based, it becomes a tedious task to deliver it to the patients who are not in the same city, state or country. However, if the doctor uses EMR and mails the reports it saves time and improves patient care. Reduction in chaos, happy patients: A messy clinic with cluttered papers, chaos and mismanagement gives a bad impression of the doctor and the clinic. Instead resorting to EMR with no papers lying around, a clean clinic and proper management smoothens the practice giving a good impression to the patients. Say no to Memory-based treatments: A memory based treatment proves dangerous for both patient and the doctor. So no more risk of giving bad treatment to your patients with EMR having records of the diagnosis and treatment available within seconds. EMR based treatments have proved safer in contrast to the memory-based treatments improving patient care. A specialists’ and colleagues’ opinion: EMR stored inside a PC is easy to share with your fellow colleagues and specialists to discuss a rare clinical case. Paper-records require a lot of time to share as compared to an electronic record. With a handy device and a sharing access, medical record distribution is a cost-effective solution. Handwritten Prescription Risk: A hand-written prescription can prove highly dangerous for the patient. Drugs which are spelt similarly or having a difference of few alphabets/structure are more liable to be misunderstood by the pharmacist and handing over wrong medications. Resorting to a PC-based prescription along with the record neutralize the perils of handing over some other drug increasing patient care. Quick response to emergencies: Digitized records on a centralized server ensure quicker response to emergency situations for patients. Entire patient history can be referred by the doctor in a short time and proceed with the treatment unlike the paper-based records where it requires a lot of time to search and refer patient history. Adverse Drug Reactions: Side effects of drugs if not informed to the patient can lead to a patient’s health in danger. 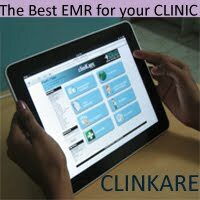 EMR software which records ADR definitely makes you inform the patient while prescribing the drug. Patient safety and patient care ensured. Patient’s access to records: Giving another dimension to EMRs; from a doctor’s accessibility to patient’s accessibility of medical records, EMR is a boon to patients as well. Not only does it eases access of records in faster and simpler manner but is helpful when a patient is at different locations. 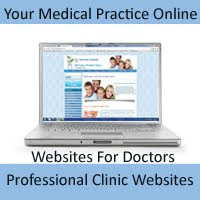 A medical record integrated with a doctor’s portal is accessible worldwide limiting it only to the doctor and the corresponding patient providing patient care. Patient Consent: Smart EMRs with consents help patients make decisions about the choices available in the treatment they are about to undergo. Issues related to patient consent are reduced with EMRs that give you options of the treatment and lets the patient beware of the risks and benefits associated. An in-depth medical knowledge may care and cure the patient but added services like EMR will retain patient care. As we continue praying for hope in Japan, we are also learning all we can about how disasters can impact the way we live and seek to improve. Sadly, Japan now faces severe logistical problems and with the latest news on the mishap at a nuclear reactor, the situation only seems to be getting worse. While Japanese officials have more pressing issues on their hands, a problem that will arise as time progresses will be that those left alive may find themselves without their medical records. Natural disasters wipe out everything — including paper medical records as well as computer and communication networks. While Japan does have a Healthcare IT strategy setup, with benefits and stimulus funds, it is relatively new and yet to mature. Health data digitization and Electronic Record Keeping is still in its infancy. Japan does not boast of large scale Electronic Medical Record coverage. Wouldn’t any country ride out disasters better with health data sharing in place? This should be taken as a wakeup call as well as a learning lesson by all nations which haven’t yet devoted time and money to setting up Nationwide Health IT Infrastructures. India for one must be looking at learning from this. Having a Nationwide Health IT Strategy should be treated as important as a Tsunami Alerting System (TAS). Purists will argue that a Nationwide Health IT System is not intended for alerting and helping contain situations like the TAS. And they are not completely wrong. In many cases it has been observed that long term benefits are eventually forgotten. Instead, this concept of “Long Term benefits” must be replaced with Pre-planned Goals which must be “Sought” on maturity of a model. Now, any system can provide a set of benefits directly on implementation, and an additional set when it has matured. Similarly, the use case of using a Nationwide Health IT System for predicting and alerting requires a certain amount of usage at first. A sophisticated and mature Nationwide Healthcare Network built using technology can identify the emergence of possible pandemics. Trends in symptoms can help identify risk areas, and collaborative diagnosis can help is sharing treatment plans and improving them. One must understand that if maturity of a network is required for additional goals and since that takes time, one must seek to implement early.